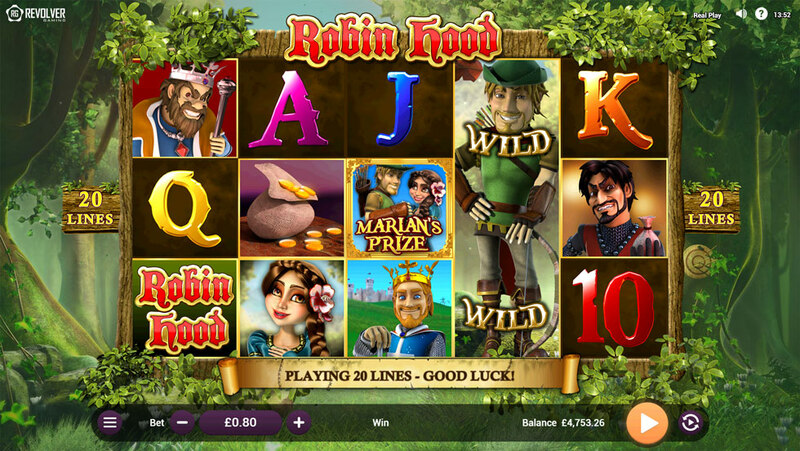 Robin Hood and his Merry Wins | Revolver Gaming - 3D Slots & Social Casino game creators! 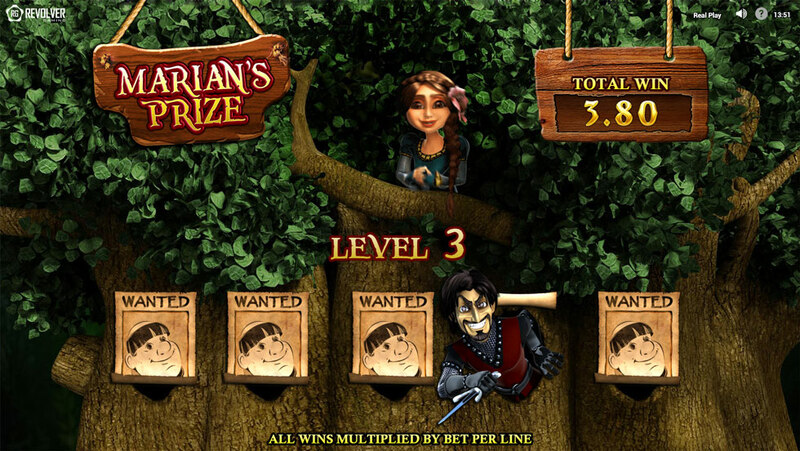 Robin Hood is a charming and stylish 3D slot game filled with humor and adventure. 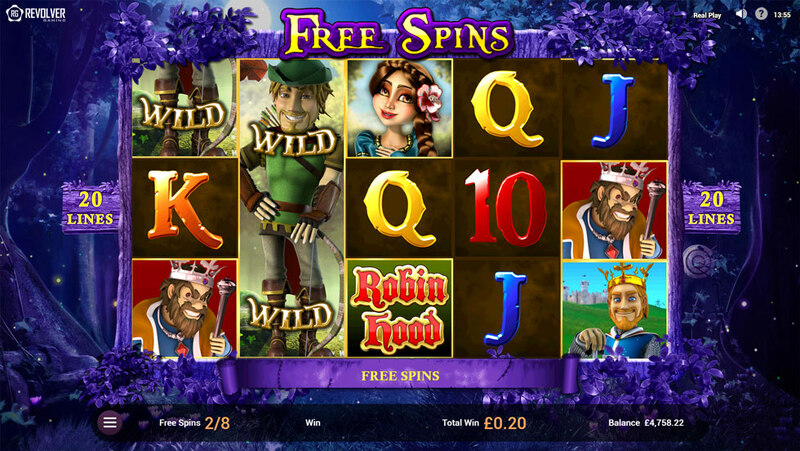 A fresh take on a classic theme, portraying our cultural hero in his traditional role as the champion of the less fortunate, ‘Robin Hood” is the brave star in this classic tail who advocates for the player to help him WIN BIG! 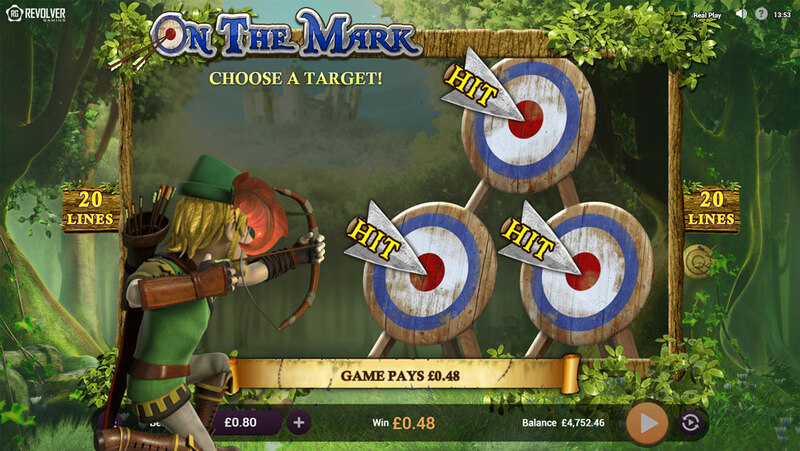 With Maid Mariam by his side and assisted by fellow outlaws known as the ‘Merry Men’, Robin Hood is determined to stay one step ahead of the Sheriff of Nottingham and King John to protect and increase the players’ bank. 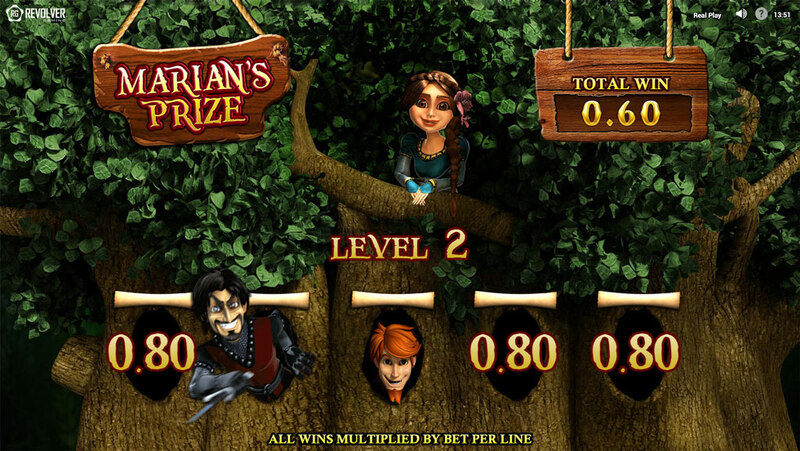 Robin Hood offers a better mobile experience by increasing base game activity that sustains the player in the base game, instead of relying on the 2nd screen bonus that may not be triggered in the shorter mobile play sessions. By empowering the base game with more, small, multiplier-based features, the game relies less on the bonus for the RTP and will increase the play time for the mobile market. This makes the base game play very compelling and lucrative for the players! Fun is in the house!